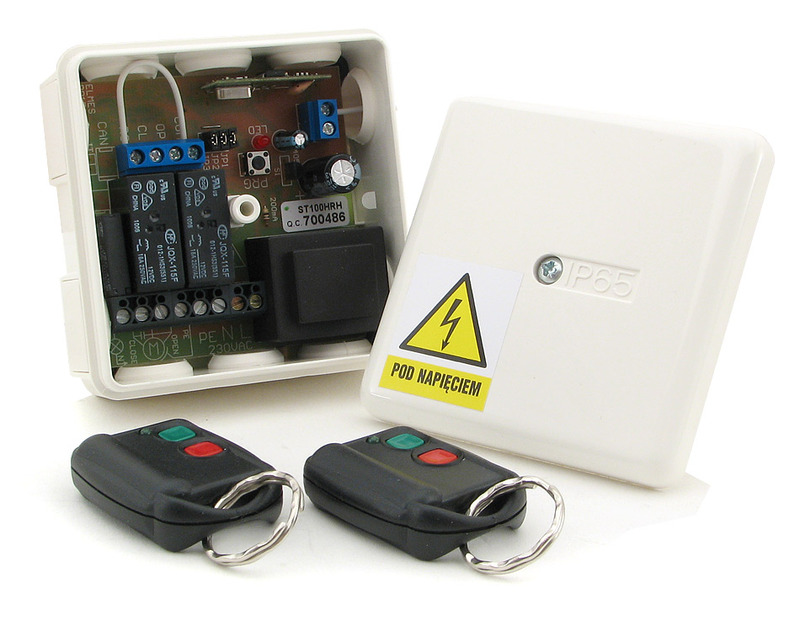 ST100HS consists of one control unit receiver ST100HR and two DWB100HT keyfobs with KEELOQ® dynamic code encryption. ST100HS set range is up to 100 meters. 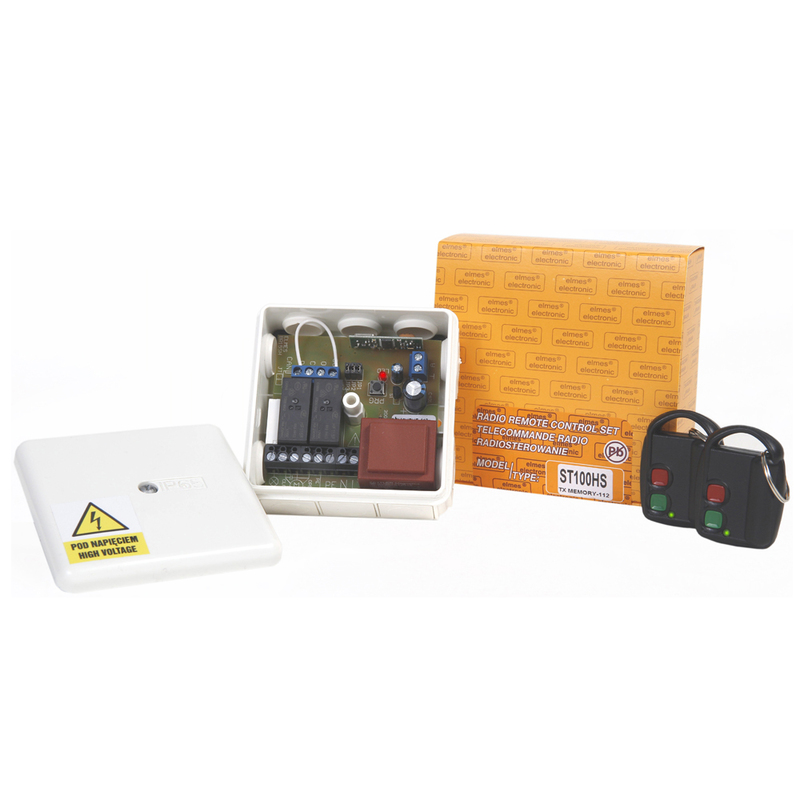 The control unit is 230VAC mains supplied and equipped with three power relay outputs with terminals for connecting roller or gate 230VAC electric motor and warning lamp. Other terminals are for wired control switch and optional infrared security barrier. 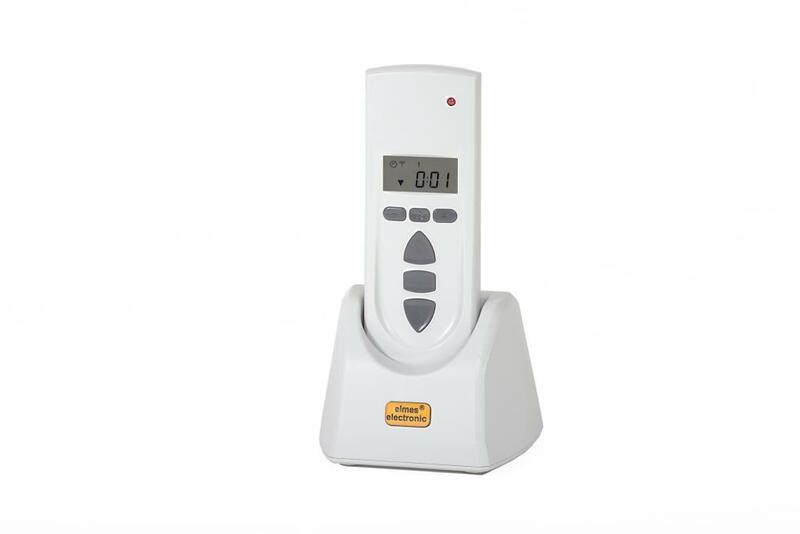 The panel is programmable and features number of practical functions including remote control operation with the use of one or two remote's buttons, automatic roller or gate closing after opening with programmed pause time and auto-opening function on obstacle signal received from infrared barrier while in closing mode. The ST100HS features also highly sensitive superheterodyne receiver module and hermetic housing IP65 suitable for outdoor installation withstanding wide range of operating temperatures. Optionally available is special version of the controller (version ST100HS-pz, ST200HS-pz) featuring protective closed roller guard. On attempts to manually lift up a closed roller the motor is triggered to reverse action to hold the roller in closed position. This single roller system is based on Elmes ST100HR control panel. 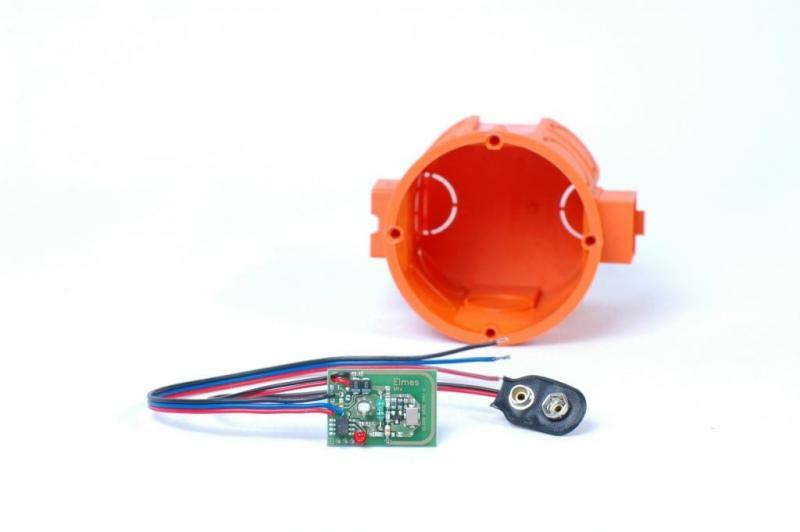 Every window or garage roller has own independent controller that is remotely operated to roll up or down by wireless keyfob or hand transmitter. The controller allows also wire connection of a single (up, stop, down, stop. etc.) 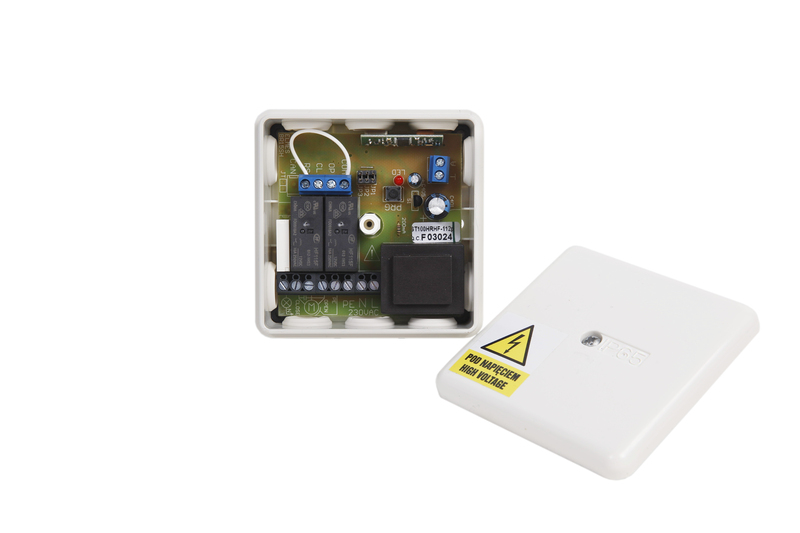 or double (up & down) button wall mount pulse operated switch. The system is recommended for installations requiring rollers independent operation. Wireless control of all rollers is possible by single hand transmitter or MTX programmed to all or selected panels.